If you are the Foreign Agency, Entity or Organisation (the “Third Party”) who has received our Notary Public’s certification (eg. certified true copy of document) from your client/applicant/person and wish to verify our certification and/or our Notary’s official appointment, please be informed that such certification / confirmation is subject to our fees. Fees quoted are subject to change without prior notice and may vary depending on the Third Party’s requirements. If you are the Foreign Agency (“3rd Party“), eg. an UK Bank, Australia Estate Agent, US Law Firm, who has received our Notary Public’s certification (eg. Notarial Certificate with certified true copy of document) from your client and wish to verify our certification, etc, there will be charges payable. Please read Reasons for Verification Charges. For your convenience, please submit this Verification Require Form. Our charges for verification is Singapore Dollars Fifty (S$50) for each verification of documents under each Notarial Certificate. For example, John Smith submitted 1 Notarial Certificate with 3 documents annexed to XYZ Bank and XYZ Bank wishes to verify with Notary on documents bound to this Notary Certificate, then this is considered 1 Verification Request costing S$50. However, if John has 3 Notarial Certificates and the Bank wishes to verify with our Notary Public on the documents from all 3 Notarial Certificates, then this will be considered as 3 Verification Requests costing 3 x S$50 = $150. To avoid delay, please enter the correct quantity of Verification Request and make the necessary payment. Verification charges are Singapore Dollars Fifty (S$50) for each verification of documents under each Notarial Certificate. Specify how many Notarial Certificate you wish to verify. If you wish to verify only documents in one (1) Notarial Certificate, please indicate "1". Please describe your documents to be bound by a Notarial Certificate. Please specify the particulars of our client and the notarisation details that you are requesting verification for. Upload the relevant Notarial Certificate(s) and the relevant documents to be verified, such as NRIC, Passport, Birth Certificate. Allowed File Formats: jpg, gif, png, pdf, doc, docx Max Size Per File: 2 MB Note: Upload may not work in App, but will work with browser in Mobile devices (eg. iOS and Android). Email address should originate from the Entity requesting for Verification. For example, if you are from Barclays Bank, UK, then your email address should be john.smith@barclays.co.uk (example only). Occasionally, the recipient (the Third Party) of our legalised document wish to confirm our certification which we have provided to our client, and/or verify our Notary Public’s appointment. For example, a Bank (Third Party) may be in receipt of a certified true copy of a certified true copy of its client’s Passport (certified true by our Notary Public), and sent a request for our confirmation. We reserve the right not to provide such service at our absolute discretion, even if payment is made to us (subject to refund less abortive fee, if any). To check on how to find out the authenticity of our Notary Public, please go to this LINK. We provide our Notarial Services to the person who requested for our service usually for a small prescribed fee (eg. S$50, S$80). If the Third Party requests request our Notary office for additional service, we will need to respond to you and check/verify our historical data, which require time, manpower resource and effort. We reserve the right not to provide such service and have no obligation to respond to the Third Party. Please do not pay any sum to us until we have agreed to provide such service. Our estimate cost for each verification is S$50.00. Payment is required in advance before we respond to the requestor. The estimated cost stated herein is per document / signature. For example, if you are verifying 2 certified copies of 2 documents, then the cost will be S$X multiply by 2. Where more elaborate work is required from us, we will vary our charges accordingly. After payment, please forward us evidence of payment via email to online@law.com.sg. 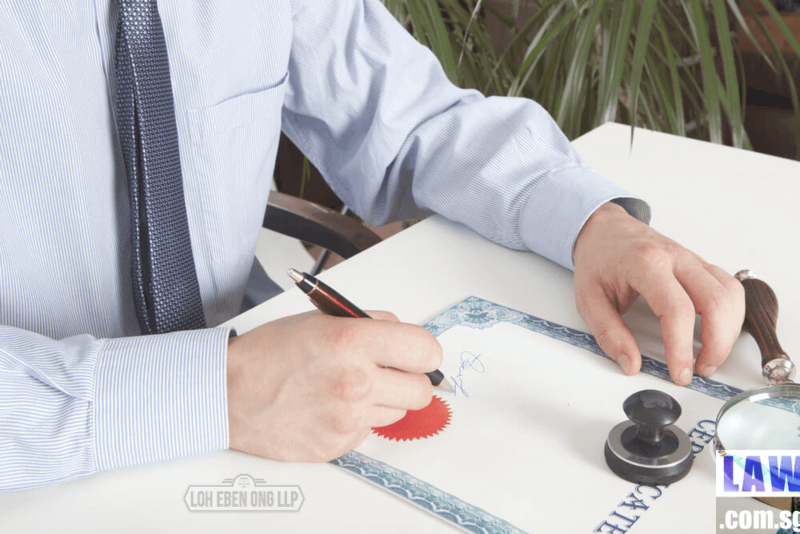 For this additional service, we will dictate the terms of our certification, and may consider your wordings for the certification/confirmation provided they are reasonable and such service is within our Notary’s ability, knowledge, information and belief. Although we have assisted in the initial notarial service, we have no obligations whatsoever and however to the Third Party to provide any further service. Where your proposed terms for verification/certifcation/confirmation are onerous, we will decline your request, and no reasons need to be given. If we are agreeable to provide the requested service, our prescribed fees must be paid in advance.